The room was abuzz with student chatter, the aroma of baked goods and sweet treats and the shuffle of exchanged money. However, this wasn’t just another bake sale. 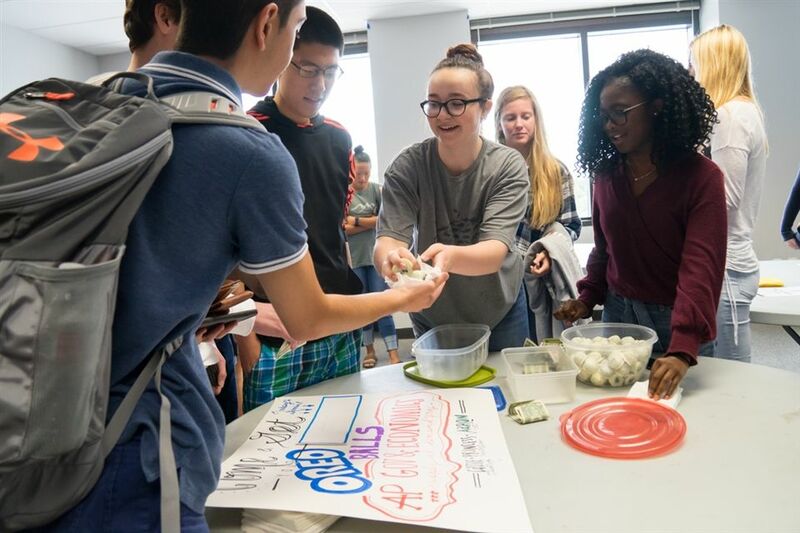 The Sweet Market, a project dreamed up by AP Government teacher Clare Towery, was used to equip students with the tools necessary to practice supply and demand concepts. Students created and sold baked goods to model what a real supplier and consumer relationship looks like. It was a bake sale like no other, where academics and sweet aromas converged. During the sale, after either making a profit or experiencing a slow market, student groups made decisions about raising or dropping prices to increase their profits. From Texas sheet cake to oreo balls, there was no shortage of sweets and smarts as upper school students practiced real life applications in a creative way. Mrs. Towery’s project was a huge success according to both the suppliers and the consumers. Click here to view photos from The Sweet Market.